Earlier this year I picked up an old action figure case from the later part of my childhood that contained a few favorite toys. I immediately got inspired to do a couple of figure still life portraits — especially when a couple of them were perfect subject matters for a couple of group gallery shows I was in. For LTD Art Gallery's Tentacle Show currated by the awesome Bonnie Burton, I did a portrait of my Krang figure from the original Teenage Mutant Ninja Turtles line. Titled "Banished from Dimension X," it's acrylic on 12" x 16" illustration board. The piece is framed and currently on view at the gallery (LAST WEEK! Ends June 1st) and for sale here. 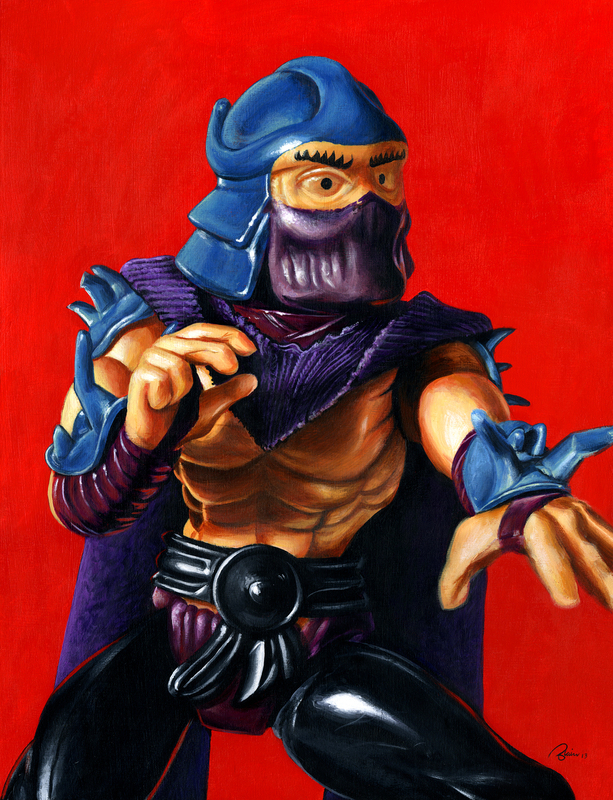 Next was the portrait of Shredder from the top of the post. He's currently a part of Hero Complex Gallery's Arch Nemesis Show. Titled "Tonight I Dine On Turtle Soup," it's acrylic on "15 x 20" illustration board and comes framed. He's currently on display at the gallery in LA through June 16. You can buy the original here or get 11" x 14" giclees for $20 here. 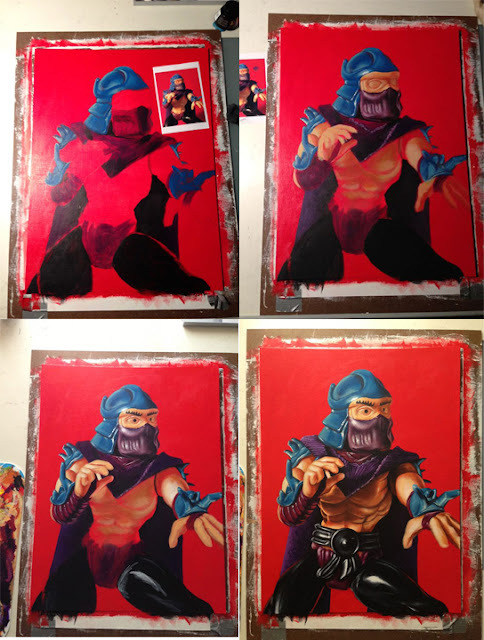 Here are some work in progress shots of Shredder from start to finish. I had a lot of fun painting these and will definitely be doing more action figure portraits in the future. In fact, I just got done with another one.